The best fast growing shrubs are well behaved, non-suckering and don't mind a hard pruning if needed. Many garden shrubs like Spiraea, Berberis, roses and Ceonothus are great for their flowering cycle, but in the off season, many are drab and uninspiring. A variety of different hedging plants together can provide multiple benefits – from blooms visited by bees, hummingbirds and other birds, a source of small insects and prey for other wildlife, and fruit in successive waves over the summer. In addition, in other seasons, they can trap snow and leaves and prevent soil erosion in areas that get high winds. For a good privacy fence or windbreak, look for some fast growing shrubs like poplar and willow – many varieties and species are available of which some can grow a meter a week given the right amount of water and fairly nutrient rich soil. It’s been said that all willows require are water and sunshine to grow, and that’s true; if you have a spot that gets good moisture levels from run off along a ditch or irrigated field try the fast growing Salix triandra, or for something with great winter colour, Salix alba 'Chermesina' with bright red orange stems that glow against a backdrop of snow. 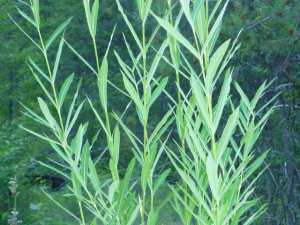 These types of willows require coppicing, or cutting back to the ground for the best winter colour, after which they will grow upwards of a meter in a season. Basket making and other crafts require a steady supply of flexible and supple new growth. Some of the best varieties have slender stems like the Salix koryanagi 'Rubykins' developed in Japan. 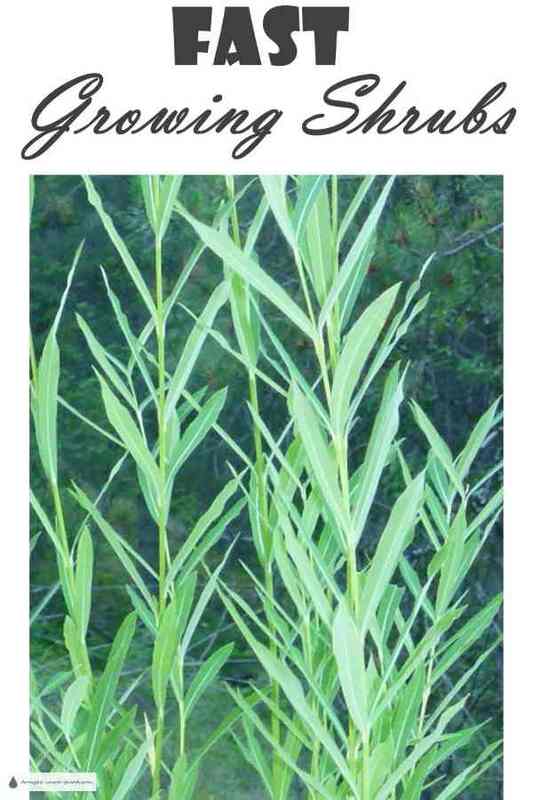 Surprisingly, many Salix are really drought tolerant, requiring reliable moisture only while getting established. 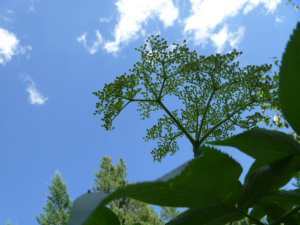 Sambucus caerulea, or blue elderberry is a great wildlife and bird attracting shrub; fast growing, it has a large outline in a short amount of time, creating a multi stemmed shrub, and produces large white flowers attractive to pollinators, followed by a cluster of blue sweet berries. You can make an absolutely delicious wine or jam from the berries – if you get them before the birds. As they are ripening just at the end of September, they can be cleaned out by migratory songbirds on their last foraging before heading south. Other fast growing shrubs to consider are the Saskatoon, Amelanchier alnifolia. Although slow to get going, these beautiful and useful hardy shrubs are worth interplanting into a hedgerow of faster growing plants to take over once the lower quality shrubs are past their best. Hard, fine grained wood, lovely white blooms signaling that the danger of frost is past and dark blue to black fruit in August are just some of its great characteristics. There are many fast growing shrubs that can be a useful addition to your garden; for windbreaks and hedges, as a privacy screen or for supplies for crafts, or even as a wildlife habitat; if you have some room, it’s worth growing some after careful consideration of their growth rate, size and your requirements.